We know we have the very best patients. Since 1971 entire families have been visiting us for treatment. We don’t take that lightly! But, don’t keep us a secret! Tell your neighbors about your favorite dermatologist. 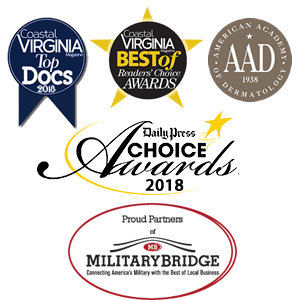 This year, we’re participating in Coastal Virginia Magazine’s Best of competition. Ready to VOTE? 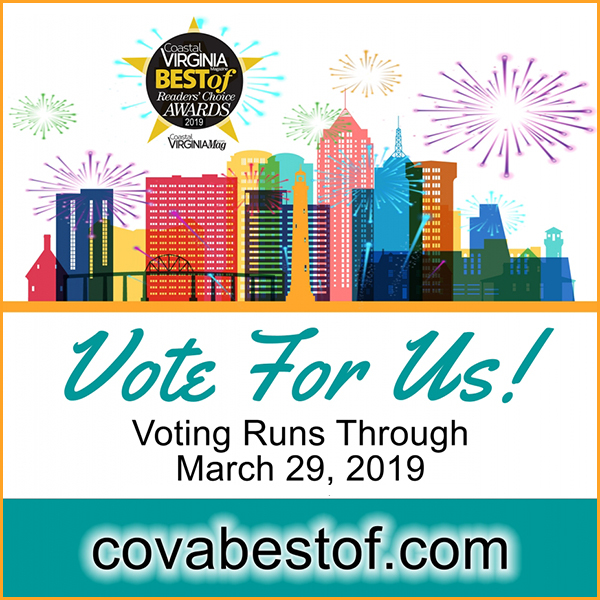 Click on the link below to go to the Coastal Virginia Magazine website and vote for all your favorite businesses (and dermatologist!). You can vote EACH and EVERY DAY until March 29, 2019. Thank you for your continued support! See you soon!